Why is a hot tub manufacturer important? If you’re looking for a hot tub. You’re going to want the best. But how do you know who the best hot tub manufacturers are when they all claim to be? Every week, we speak to loads of customers who have bought a cheap hot tub online and need it repaired. You’d think this would make us happy. After all, it means a busier business. 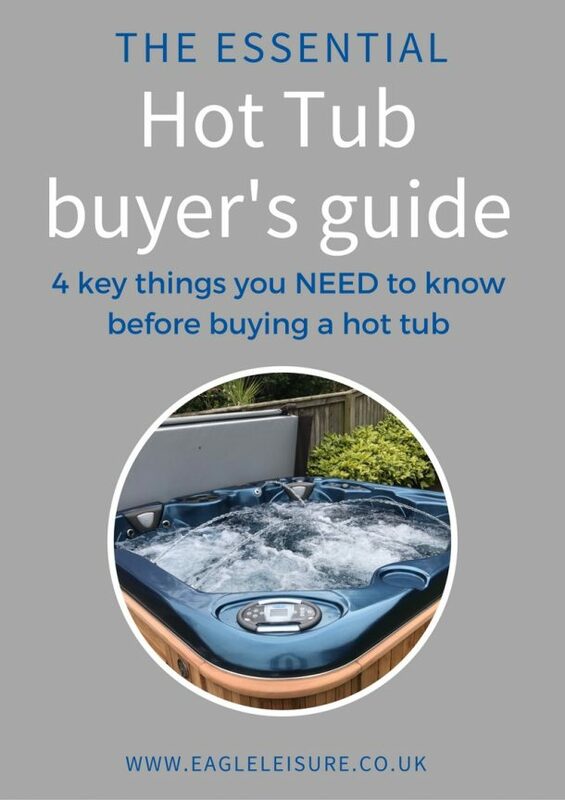 But the truth is, we’ve seen so many customers over the years, who have been left deflated and disappointed with their hot tub and the problems that come with it. And this only increases the mistrust of the industry as a whole. And, we don’t want that! 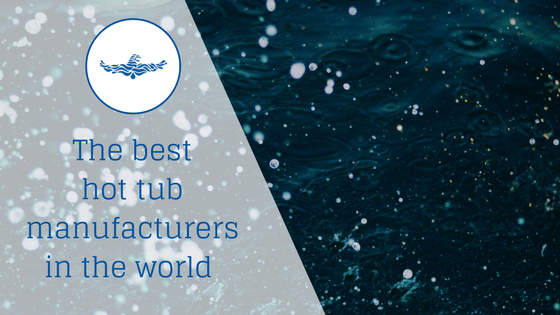 Because we know there are some really great hot tub manufacturers and suppliers out there. So, we’ve made it our mission to make sure that you pick the perfect hot tub first time. To make sure that a hot tub is doing its job to help you relax, and not making you more stressed. Who makes the best hot tubs in the world? In our recent video, we talk about why spending a bit more on a hot tub, will reap benefits in the form of quality; energy efficiency; safety and unparalleled after sales. So, which hot tub manufacturers are a cut above the rest? You’ve heard of the ‘Big Four’ accounting firms? Well, welcome to the immensely more fun, ‘Big four’ hot tub manufacturers. They all firmly focus their brand around quality. But there is more than one way to skin a cat. We’ve outlined the three ways that we think makes each manufacturing brand stand out from the crowd. These are in no particular order, well they are in alphabetical order. Because, there is no one best hot tub. There is a hot tub that is best for you. It will depend on a combination of things including what your budget is, what features you are looking for, which you prefer the look of and who your nearest dealer is. All these brands are well-built and have positive points. Just to be clear, we only sell one of these brands. We don’t supply all four, so we have no vested interest in reviewing them all. Apart from making sure that you end up with a great hot tub that lasts you a long time. Honestly, if we weren’t selling Coast Spas, we’d be selling Artesian Spas. Well, we stuck to that promise. And have since made the decision to switch and stock Artesian Spas. They are willing to work with any dealer, regardless of their manufacturing affiliation, to supply spare parts when necessary. Meaning their existing customers get fast and pain-free experiences with the supplier of their choice. We’re really big on the after sales experience, so this is a big win in our book. Plus, they have a massive UK stock in Doncaster, which means new hot tubs and parts are never too far away. And their hot tubs are pretty fantastic too. Artesian’ s mission centres around creating the best quality hot tubs. With the focus on making people’s lives better. Three things that make Artesian the best? 1. Ergonomic design. In other words, they have the comfiest hot tubs. They don’t use modern, advanced modelling software for this. They rely on old-fashioned hand sculpted design. So, their hot tubs are built by humans, for humans. 2. Leading Warranty. They are so confident in the quality of their build, that they offer 12-year structural warranty on the Artesian Platinum and Artesian Island range. 3. Unique massage experience. Artesian’ s pulsating wave motion massage, is designed to mimic, as closely as possible a massage from a human. It focusses on pressure points to relieve pain. Price: Artesian have models for most budgets. With prices from around £4000 for a two-person model, all the way upwards of £17,000. Where are they manufactured? They are built in their manufacturing plant in Las Vegas, Nevada. Range options: Artesian have 4 different hot tubs ranges. The Platinum Artesian (4 models), The Artesian Island spas (9 models). 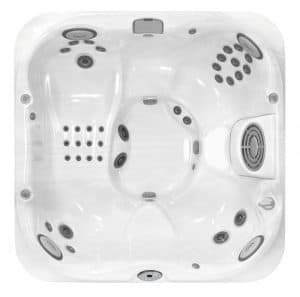 Plus, they also manufacture South Sea Spas (8 modes) and Garden Spas). Our top pick: The 6 seater Nevis is our top pick. Complete with patented helix jets and the island class tranquillity waterfall. However, there is no denying that they are one of the best manufacturers in the world. We wouldn’t have sold them for so long otherwise. And we stand behind their ability to create a beautiful, unique and long-lasting hot tub. Three things that make Coast Spas the best? 1. ISO 9001:2015 Quality Certification. An internationally recognized independently audited quality certification. Every Coast Spa built, has to undergo rigorous testing to comply with the quality standards set. Read more. 2. Strongest shell available. The Lucite acrylic shell is backed with up to 12 layers of Owens Corning fibreglass, and steel angles in the weight-bearing areas. This makes for an almost indestructible shell. Read more. 3. Hydro Cyclonic Filtration. Or in other words. The best filtration. Getting your filtration perfect, means easier ongoing maintenance. Plus, cleaner and safer water. Coasts filtration system is pressurised and completely removed from the water you are sitting in, which means once dirt and debris are trapped in the filter it stays there. Their duo core, cyclonic filtration system, has been independently concluded as 83% faster, and 20% more efficient than traditional skim filtration. 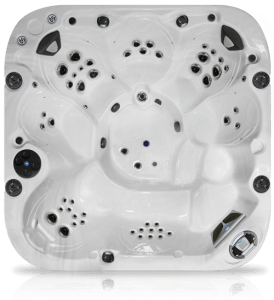 Price: Coast Spas start from £4995 (13AMP models). And can cost upwards of £16,000. But realistically, by the time you have added full foam and lighting, you are looking at upwards of £7500. The average spends on a Coast Spa hot tub with us is between £7,500 – £10,000. Where are they manufactured? All of the Coast Spa and Northwind rage, are manufactured in the ISO quality manufactured plant, just outside Vancouver, Canada. 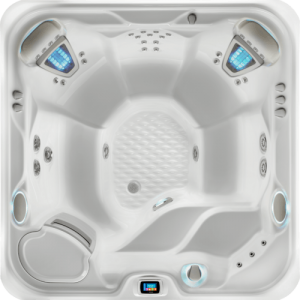 Range options: Coast Spas has over 30 hot tub moulds available, and variations numbers of jets within that. So, there is something for everyone. They have the ‘Coast Spa’ range (Patio, Traditional, Curve, Microsilk, and Cascade), plus the sister range Northwind. Our top pick: The Elite Element was our most popular selling model. And we are forever in love with the one and only Cascade infinity edge series. Jacuzzi® was the first to develop the hydrotherapy jets in 1956, and since then their name has become synonymous with hot tubs. So, much so, that many people use the word Jacuzzi when they are referring to any manufacturer of the hot tub. Nowadays, Jacuzzi Group owns and operates a number of hot tub manufacturers including Jacuzzi®, Sundance Spas®, Thermospa®, Dimension One Spa® and Hydropool®. However, the original Jacuzzi brand still tops our recommendation as one of the best hot tub manufacturers. Three things that make Jacuzzi the best? 1. The original and the best. Jacuzzi is still riding the wave of being the original hot tub and hydrotherapy provider. Living up to the expectation of their name. And building quality hot tubs to support that claim. 2. Quality build. Jacuzzi hot tubs are designed for reliability and they have to pass over 250 outstanding quality inspection checks. 3. Strategically placed jets. The hydrotherapy jet was developed by the Jacuzzi brothers, in response to a family member developing serious Rheumatoid Arthritis. And they’ve continued their mission to help join and muscle pain through well-placed jets, which hit every muscle in the body for total body relaxation. Price: It’s difficult to find pricing anywhere, due to the fact that prices range depending on location and supplier. But prices range from approx. £5999 up to £20,000. Where are they manufactured? Okay, so this is a bit of a tricky one. 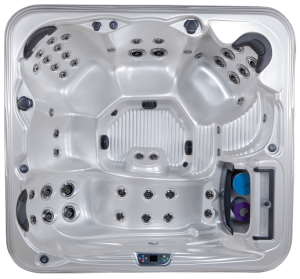 All Jacuzzi products are made in either: the US, Mexico or Europe. The Italian Design and the J-235 are all made in Itlay. To find out where each individual model is made you need to contact your retailer. Not necessarily a bad thing, but if the origin is important for you, you will have to find this out. However, all three adhere to strict quality procedures in place. Range options: Jacuzzi has a range of hot tubs to suit your budget. They have the Italian Design; J-200; J-300; J-400; J-500 and the J-LX range. Our top pick: The 5-6 seater, J-335™ is our top pick. The Watkins Group manufacture a range of hot tubs, including Hot Spring; Hot Spot; Caldera Spas; Freeflow Spas and Fantasy Spas. But, our pick of the bunch is the flagship Hot Spring hot tubs. First manufactured in, 1977, Hot Spring is still the number one selling hot tub world-side, with over 1million hot tubs sold. Wow. That’s a lot of hot tubs. Three things that make Hot Spring the best? 1. Exclusive Moto Massage™. Their massage experience is completely different from what anyone else is offering. On selected models, they have the moto-massage, which delivers two powerful streams of water down the length of your back in a sweeping motion. 2. ACE Salt Water System. This generates sanitizers from salt and water, using diamond electrodes. For less maintenance time, and a lower chemical usage. Please note, that you still need to balance water and check both pH and sanitizer level in the hot tub. 3. The Absolute Best in Hot Tub Ownership Experience™. Unparalleled sales, aftersales and warranty, make for one of the best overall customer experiences around. Price: Prices start at £3,995 and go up to £20,000. Where are they manufactured? Watkins has two manufacturing plants in Mexico, North America. Range options: The Hot Springs range includes the: NXT, Highlife, Limelight, HotSpot, Freeflow ranges. Our top pick: We personally like the HotSpring Vanguard which seats 6 adults and is perfect and is complete with 2 of the exclusive Moto-Massage panels. This should hopefully give you a starting point for deciding where to look for a hot tub. But it’s worth remembering that manufacturers are only half the battle. You need to make sure you are working with an equally great supplier. They are the one who will carry your warranty, and help you with any issues you have after. Make sure you’re going with a company who cares about you after the sale. A company who you trust. So, when it comes to hot tub manufacturers that we love. Customers love. And engineers (who spend their days fixing hot tubs) love. We recommend sticking to either Artesian; Coast Spas; Jacuzzi or Hot Spring. Why are Coast Spas, the World’s best built hot tubs? Eagle Leisure - Sales & Marketing ManagerMission = to arm you with the knowledge you need to make the best buying decisions.Fuelled by coffee (and naps). Explorer of Scotland and the world. Do I need an architect to install a swimming pool? Do I need planning permission to install a swimming pool? A comparison: concrete pool vs liner pool vs one-piece pool.